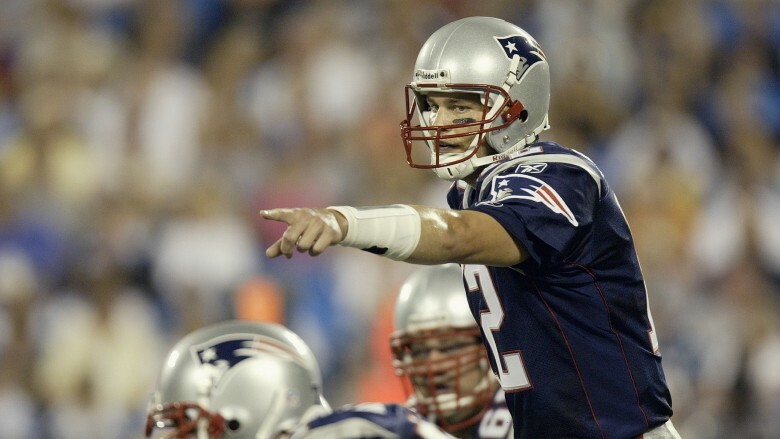 With five Super Bowl championship rings, New England Patriots quarterback Tom Brady is widely considered among the greatest football players of all time. Of course, fame and fortune's biggest adversary is scandal, and Brady has experienced plenty of if. From unexpected pregnancies to the now-infamous "Deflategate" saga, we're getting to the bottom of one of the most polarizing figures in sports. What really happened with Deflategate? The drama over allegations that the Patriots used deflated footballs during a 2015 playoff game, known commonly known as "Deflategate," is so complex and so weird that it will likely inspire an All the President's Men-esque movie one day. At the time of this writing, it remains unclear what involvement Brady actually had in the debacle, if any. He's maintained his innocence, but missing pieces of potential evidence might suggest otherwise. In response to the scandal, the NFL slapped Brady with a four-game suspension after an independent investigator concluded that he was "at least generally aware" of what was going on. This led to a number of appeals on both sides before Brady gave up and accepted the punishment in July 2016. "It has been a challenging 18 months and I have made the difficult decision to no longer proceed with the legal process," he wrote on Facebook. "I'm going to work hard to be the best player I can be for the New England Patriots and I look forward to having the opportunity to return to the field this fall." Brady returned to the Patriots in October 2016 following his suspension. He and his team went on to a stellar season that concluded with New England defeating the Atlanta Falcons at Super Bowl LI in February 2017. The victory was either redemption or really, really annoying, depending on how big of a Patriots fan you are. In mid-December 2006, Brady and his girlfriend of three years, actress Bridget Moynahan, announced they had broken up. The following month, People magazine linked Brady to Victoria's Secret Angel Gisele Bündchen, with sources claiming they had "started dating right before Christmas." If that wasn't awkward-enough timing, People reported in February 2007 that Moynahan was pregnant with Brady's child. The news threw a wrench into Brady and Bündchen's hot-and-heavy new romance. "It was a challenging thing because here I am, thinking I'm dating this guy, you know we met, we started dating and everything was great, and this happens," Bündchen told CBS This Morning in 2015. "I felt like I did not know what to do. It was one of those moments of like, do I just run away?" Moynahan and Brady welcomed a son, Jack, in August 2007. Bündchen, obviously, stuck around and married Brady in February 2009. They have three adorable kids, plus Moynahan's son, who Bündchenlovingly referred to as a "bonus child." Is he really friends with Donald Trump? Both during and after his successful bid for the White House, President Donald Trump boasted on numerous occasions about his alleged friendship with Brady. 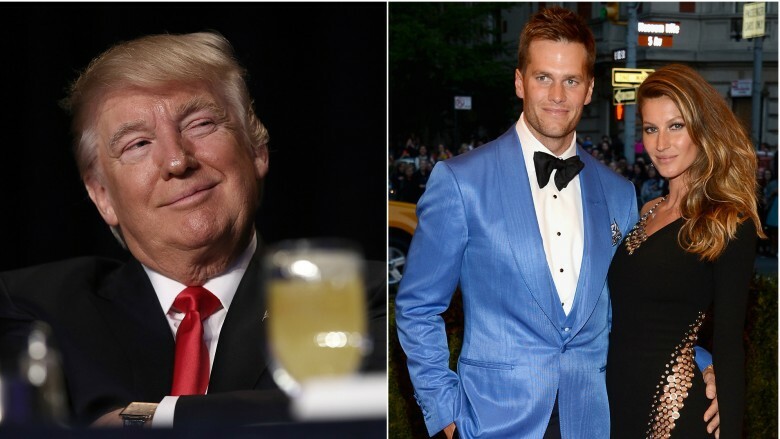 "Tom Brady, great guy, great friend of mine, great, great champion, unbelievable winner," Trump told a crowd in November 2016, according to Us Weekly. "He called today and he said, 'Donald, I support you, you're my friend, and I voted for you.'" The New York Times also quoted Trump calling Brady, "a really good friend of mine." Given that we now live in a world where "alternative facts" are a thing, many have been unable to figure out whether Trump's words are legit or just an exaggeration. Brady's silence on the matter certainly hasn't helped clear the air, although he did offer a vague explanation in January 2017. 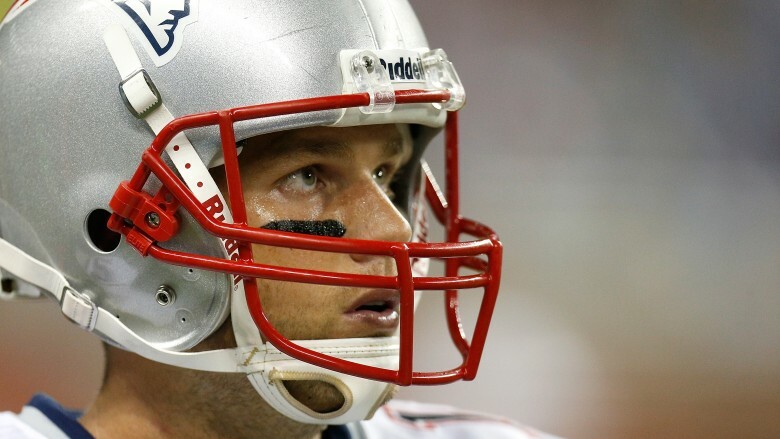 "I have called him, yes, in the past," Brady said (via CNN). "Sometimes he calls me. Sometimes I call him. But, again, that's been someone I've known. I always try to keep it in context because for 16 years you know someone before maybe he was in the position that he was in. He's been very supportive of me for a long time. It's just a friendship. I have a lot of friends. I call a lot of people." He added, "Why does that make such a big deal? I don't understand that. As for his wife, well, she may have different thoughts on the matter. Although he recently became the first quarterback to win five Super Bowl championships, Brady's career in the NFL wasn't always filled with champagne and roses. In fact, he wasn't even picked by the Patriots until the sixth round of the 2000 NFL Draft. The tension and memory of that day still haunts Brady, who broke down in tears thinking about it during a 2011 interview with ESPN. "It was just a tough day, you know?" he said. "I just remember being there with my mom and dad…" he continued, through the waterworks. "You know, they were just so supportive of me. They take it as emotional as I do. Finally, when the Patriots called, I was so excited. I was, like, 'I don't have to be an insurance salesman,' you know?" Much has already been written about unothrodox diet, which might be one reason the press has been skeptical over the years of his "body coach" (Brady's words, not ours), Alex Guerrero, and perhaps for good reason. According to the New York Post, Guerrero was sued by the Federal Trade Commission for allegedly "suggesting that a supplement he sold could cure cancer and other terminal diseases." The Post adds that Guerrero has also been criticized for claiming he's a doctor when all he has is "a master's degree from a since-shuttered school of Eastern medicine." 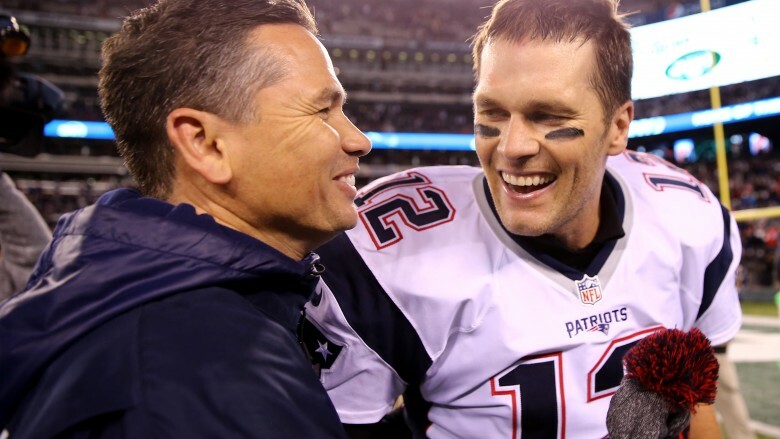 Brady has been defensive of Guerrero and his teachings. "When you say, 'This sounds like quackery,' well, there's a lot of things I see on a daily basis in Western medicine that I think, 'Wow, why would they ever do that? That's crazy. It doesn't work'…" he told the radio station WEEI (via the Post). "I think a lot of things that are the norm, that are very systematic, don't work." Considering the man just won another Super Bowl at age 39, maybe Brady and his body coach are onto something? Could he have been a baseball star? According to MLB.com, in addition to football, Tom Brady was a very talented baseball player. In fact, he was apparently so talented, that the Montreal Expos selected him during the 1995 First-Year Player Draft. "I think he would have been a pro," John Hughes, a former scout for the Expos (but sadly not director of The Breakfast Club) told MLB (via CBS Sports). "He had all the intangibles. He could throw, left-handed power. There is no reason to think this guy couldn't have been a big league catcher." Brady reportedly wound up working out with the Expos in San Francisco, but as Hughes recalls, scouting him for baseball was a long shot. Even then, most folks believed he was destined to do great things on the gridiron. "Everybody knew he was going to [the University of] Michigan," Hughes told MLB. "It was a pretty big assumption, and [ultimately] right, that was what he was going to do." Why was he on that flight with Ben Affleck's nanny? One of the most bizarre twists in the saga of Ben Affleck and Jennifer Garner's divorce came in July 2015 when Us Weekly alleged that Affleck had been hooking up with the couple's nanny, Christine Ouzounian. Affleck quickly denied the reports, but that did little to stop the gossip rags from posting some salacious reports. 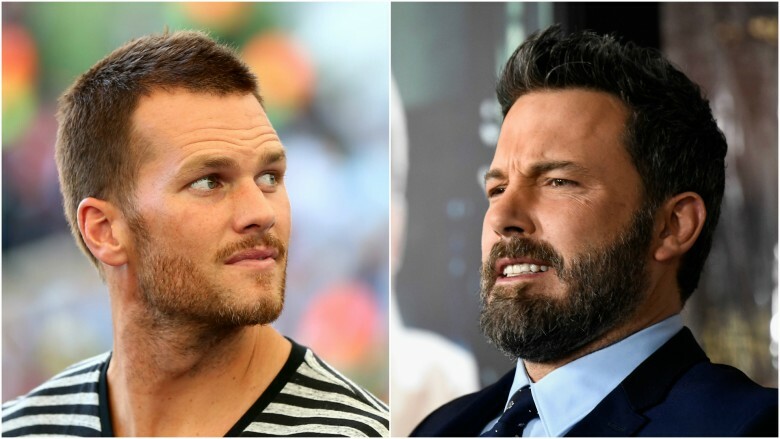 Take, for example, the time Page Six reported that Ouzounian took a private jet to Las Vegas with Affleck and none other than the New England Patriots star player. To make matters worse, Page Six even obtained a photo of Ouzounian wearing Brady's Super Bowl rings on the plane. So, what really happened? Well, maybe this report from Page Six might clear things up a bit. "There were many other people on the plane, including other assistants and staff working for Ben who were helping with the event, and many of these also tried on Tom's Super Bowl rings and took photos," a source told the gossip rag. Still… weird, no? 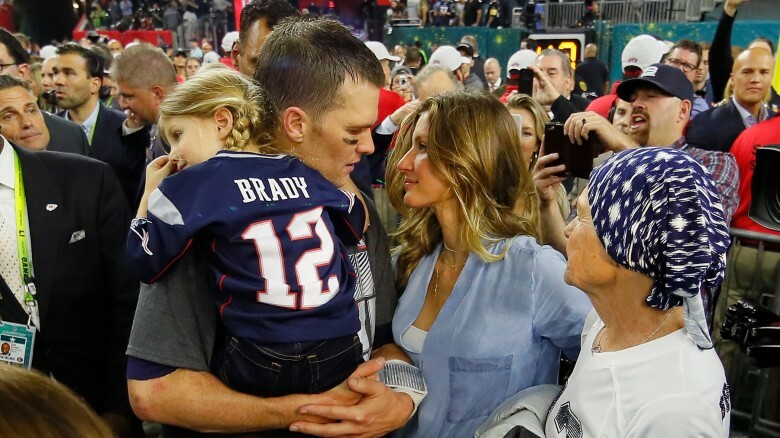 The nanny scandal reportedly happened during a trying time for Brady and Bündchen, who were in the midst of dealing with the fallout from Brady's "Deflategate" scandal. In fact, the year was allegedly so tumultuous for them, Bündchen threatened divorce. "Tom thinks it's only a threat," a source told Us Weekly. "But this is definitely a rough patch." Bündchen shot down the reports, telling a local Boston radio station that that they were in a "great place." She later discussed the toll the scandal took on their relationship with CBS This Morning, admitting, "I think we have been through a few tough times together. I think that's when you know who are your friends and who loves you." She added, "I think no matter how challenging it was we've always been supportive of one another and I think that's the most important thing you can have in life. You know, a support system and love." 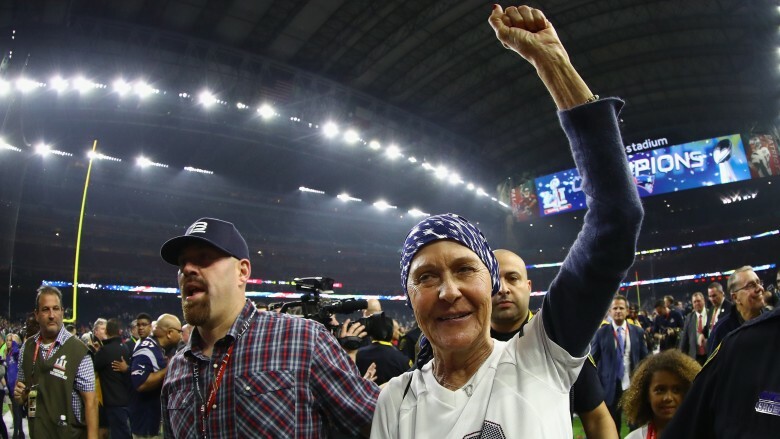 According to People magazine, Brady's mother, Galynn, has been battling cancer, forcing her to miss every game of the 2016-17 season, until Super Bowl LI. 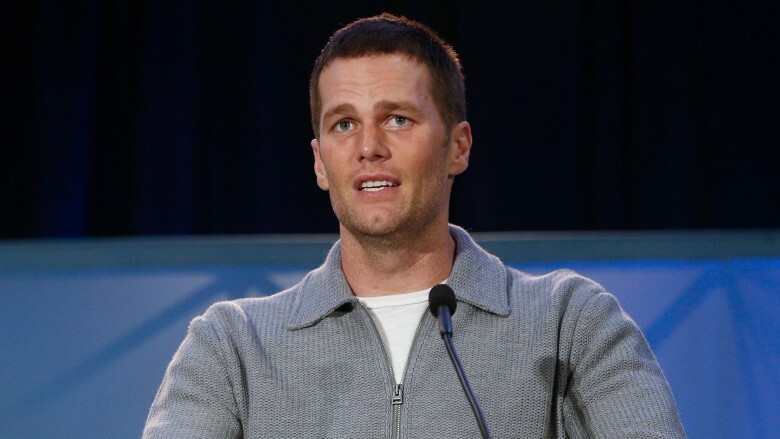 "It has been a tough year," Brady said in a press conference leading up to the big game (via People). "Every family goes through different things. My family has always been a great support system for me." Following the Patriots' big win, Brady gave an update on his mother's condition to the Kirk & Callahan Show on WEEI. "Mom is doing better," he said (via People). "She's been going through a lot—a lot of intensive treatment. But the prognosis is good. She's not quite through it yet, but hopefully there was some healing energy from our game last night." He continued, "Hopefully she turns a corner. We all pray for that." Where is his Super Bowl jersey? 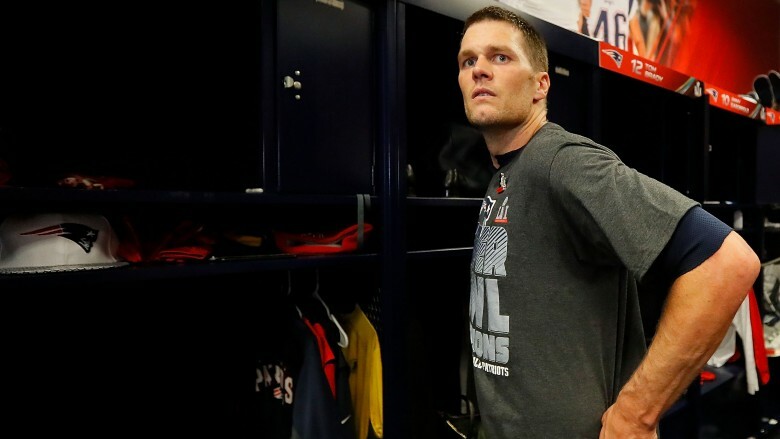 The mystery over what happened to Tom Brady's missing Super Bowl LI jersey quickly became the most-asked question since "Where is Shelley?" The press first got wind of it thanks to a video in which Brady tells the owner of the Patriots, Bob Kraft, this his jersey is MIA. He later confirmed its disappearance in a press conference, according to TMZ. A subsequent report by TMZ claimed NFL security was investigating the issue, and not the Houston Police Department, while other reports indicated the jersey may have been packed up and on a team equipment truck headed for Boston. In any case, you can now rest easy: the jersey has been found.